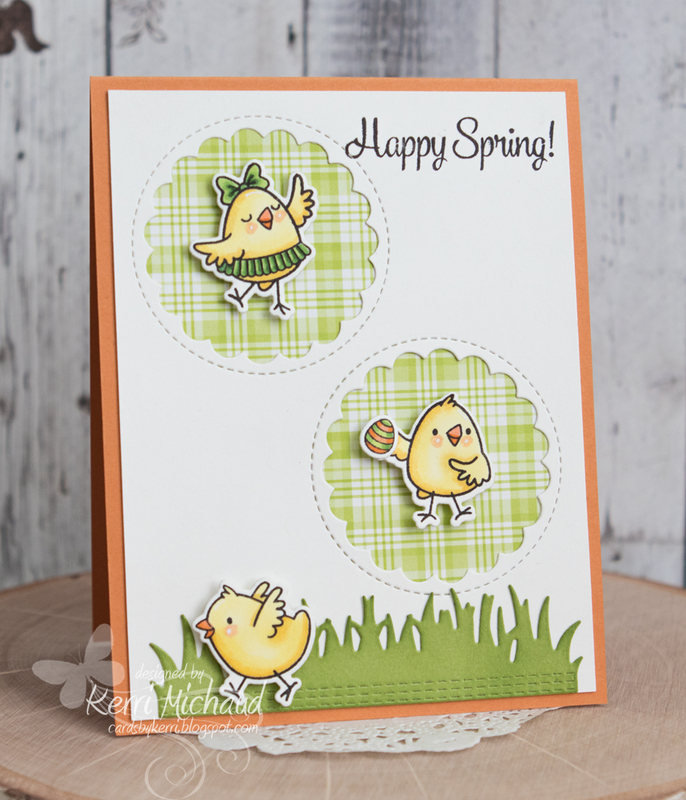 Your Next Stamp Sketch and Color Challenge #84-Card #2! Hello! I had a really fun crafting day yesterday, and made a few more projects for my favorite challenges:) I decided to play once again with the current YNS Sketch and Color Challenge #84. 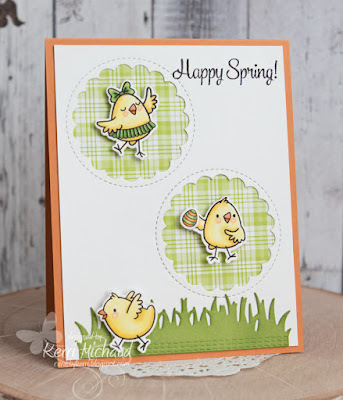 I used both the sketch and colors for my card, along with the adorable Hobby Chicks Stamp Set. I used a Lawn Fawn Outside In Stitched Scalloped Circle Stackables to cut the circles and layered some LF Perfecftly Plaid-Spring dp behind the windows. 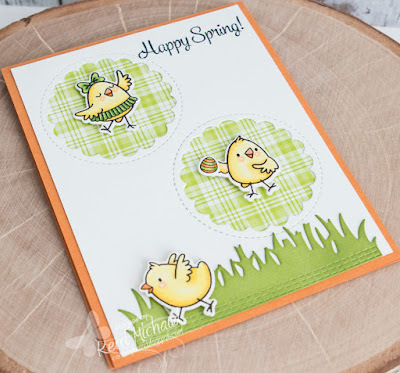 I colored my sweet chicks from the Hobby Chicks Stamp Set with Copic Markers and then cut them out with the coordinating Hobby Chicks Die Set. The grass was cut with the YNS Stitched Grass Die and the sentiment comes from the YNS Sprinkles-Eggstra Awesome Stamp Set. Adorable - such a great way to use the sketch.